Fundraising is the life blood of many Scottish charities and we need to raise funds from voluntary sources. We could not fulfil our charitable mission without the support of generous, thoughtful and committed donors. We value the support of donors and understand the need to balance our duties to beneficiaries, with our duties to donors. That’s why we make this commitment to you. PTSD UK will comply with the law as it applies to charities and fundraising and we commit that we will guarantee to adhere to best practice as outlined in the Fundraising Code of Practice. We will monitor fundraisers, volunteers and third parties working with us to raise funds, ensuring that they also comply with this Code of Practice. We will communicate with you in accordance with your selected preferences. PTSD UK is committed to delivering a high quality, accessible service to our members and others who seek our support. As part of this commitment we have a complaints procedure to allow those using our services to make suggestions for improvement. If you have a complaint regarding our fundraising activities or approach, please contact us and we will try to resolve this right away. Stage 1: If you are not happy with the way we have handled a fundraising approach to you please tell us as soon as you can. You can speak to the person you dealt with or write to PTSD UK, 101 Rose Street South Lane, Edinburgh, EH2 3JG. 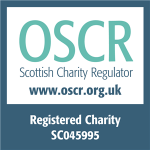 Stage 3: If you are not happy with the decision you receive you have the right to refer your complaint to the Scottish Fundraising Standards Panel.